Similar to the extended nip pressing methods used on tissue and board machines, the MarryShoe rolls extends the pressing zone in tissue converting, giving longer dwell time in the nip with lower peak pressure. The benefits have already been proven in commercial operation. Tissue producers and converters of kitchen towel rolls have historically relied on two different and well-known embossing and laminating processes which have had varying degrees of market success over the years: Nested and Point-to-Point (PTP). PTP was developed first, by Procter & Gamble in the late 1960s. But during the second half of 1970s, Ernst Nystrand, who was VP of Engineering at Paper Converting Machine Company (PCMC), noted that P&G’s Wells-patent for PTP embossing required very carefully registration and synchronization of rolls to ensure correct point-to-point alignment. Nystrand, instead, designed a method so that the webs lined up in a point-to-valley or “nested” configuration. 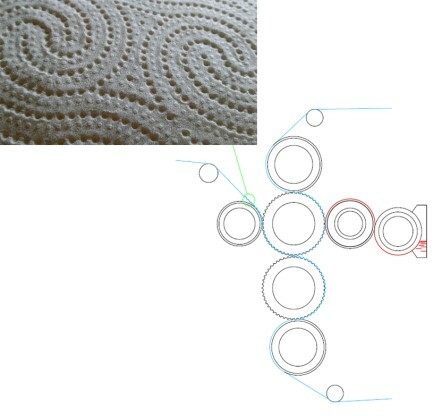 Although the rolls still had to be synchronized to maintain peg-to-valley nesting, less than perfect synchronization was permissible because the point-to-valley configuration allows more margin for error, without giving up satisfactory bulk and spacing between the towel webs. So, designing around the Wells patent, Nystrand adjusted the predetermined rotational position or “phasing” of the rolls, thus avoiding the need for strict precision and synchronization. Nested was born. And so was a new technology for producing paper towels with characteristics like those of P&G’s product, but absent the need for strict roll synchronization. Nested became very successful because it produced a higher-quality product than most embossed kitchen towels available in supermarkets at that time, including the P&G-produced PTP kitchen towels. Then, at the end of 1980s when the Wells/P&G PTP patent expired, a leading Italian tissue converting machinery producer commercialized machines with PTP technology on a worldwide scale. PTP towel eventually came to dominate the market and enjoyed several years of great success. In time, however, the small inherent problems of PTP technology, combined with continued research on new products, led to a rebirth of Nested technology. Nested once again became, and today remains, the most popular and almost universally used technology for production of kitchen towel rolls, and eventually even toilet tissue rolls. Due to its design, Nested technology allows for a much simpler operation, involving far less wear and tear on the rolls, as well as much lower roll contact pressure and roll temperatures. But all producers using Nested know that it comes with a compromise. The two faces of the laminated web have a different hand feel. Due to the application of the so-called “Marrying Roll” which presses the second ply on the “points” of the same roll to perform lamination, one side of the finished laminated web is perfectly smooth and the other is always slightly rougher. This “re-embossing” is perfectly illustrated in the following Fig. 1. Fig 1. The points punch through the web at the Marrying Roll to cause re-embossing, as illustrated above. Over the years, many different solutions have tried to address this problem. Nystrand himself considered laminating the plies using a steel roller, but eventually the steel roll was fitted with a rubber cover which, in fact, became the application design installed on all machines sold at that time and even today. Eventually the hardness of the rubber covering was increased to a higher level, typically 70 SHA. 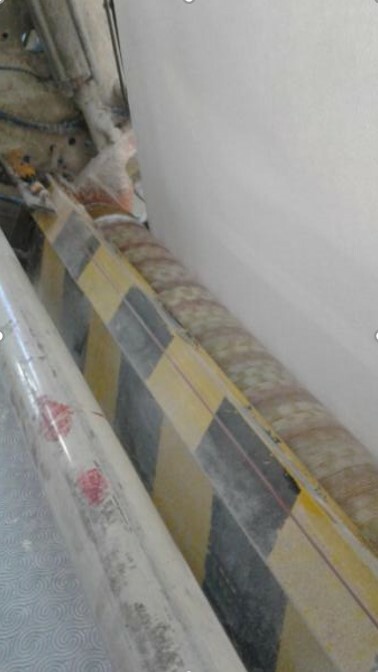 Later on the rubber covering was modified by adopting a double layer: An inner softer one and an outer harder one, to achieve higher degree of flexibility for the external hard surface of the roll covering. Recently a converting machine producer has re-employed the use of the steel roller, equipping it with a transmission connected to the main machine transmission to make it rotate. A bearing mounting is designed to reduce, as much as possible, the deflection of the roll itself and of the embossing roller with which it cooperates. 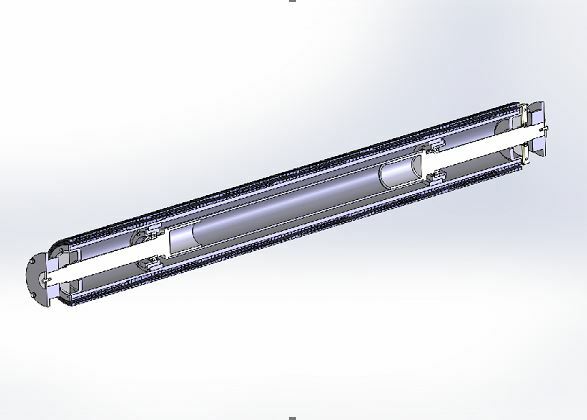 No matter which solution employed, the Marrying Roll requires a very large and heavy structure to limit the consequences of roll deflection in the process. That requirement brings with it the negative issues such as very high roll weight and inertia, both of which act against the driving of the roll itself by the embossing roller. For this reason, even if the pressure needed to laminate the two webs could be relatively low, to drive and ensure the correct rotation of the Marrying Roll the process still requires a high-pressure value, which is one of the causes of the “re-embossing”. In some cases, crowning of the Marrying Roll is required to compensate its deflection but this creates the necessity of always operating at the same level of pressure to have uniform gluing across the entire face of the laminated web. Today, thanks to a patented new marrying roll technology that has been successfully tested in commercial practice in Italy, it is finally possible to produce a Nested product with both faces of the laminated web having the same hand feel! Thus this completely new concept offers a simple but effective solution to all of the problems of the past described above. The new MarryShoe roll is composed of a fixed internal support and an external rubber covering, as illustrated in the following Fig.2. Fig. 2, showing the simple and lightweight design of the fixed shaft and external rotating rubber covered roll. — Extreme flexibility, thanks to the shape which was specially designed to give a Nip length in the contact zone (see Fig. 4) between the two rollers which can be up to 10 times longer than the Nip achieved by traditional rubber-covered Marrying Rolls. Fig 3. The patented design gives an extended nip zone with lower peak pressure but longer dwell time. A simple calculation illustrates the size of the differences in pressure. Industry-wide average towel embossing characteristics rely on a traditional rubber-covered Marrying roll with a rubber of hardness 70 SHA. When the points of the embossing roller are pressed with a pressure value of 7 kg/cml, a normal industry value, there is about 0.55 kg of pressure on each point. 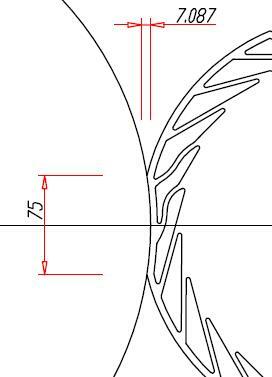 Considering an average point dimension of about 0.64 mm2,the specific pressure on each point reaches0.85 kg/mm2. On the other hand, using a MarryShoe roll with an embossing pattern having identical characteristics, according to the new concept presented in Figures 2, 3 and 4,pressing the tips of the embossing roller with a pressure value of 1 kg/cml, which is a normal value for this type of roll, with a Nip of about 20 mm, there is a value of about 0.03 kg of pressure on each tip. Considering an average square tip dimension of 0.64mm2,and a rubber of hardness 95 SHA, the specific pressure is only 0.05 kg/mm2.This is 17 times lower than the traditional pressure! Additionally, since the new MarryShoe roll is significantly lighter than traditional marrying rolls, it rotates very easily. Also, thanks to a much longer Nip in which there are many more tips in contact for a much longer time, the number of tips within the Nip at a given time can be as much as 10 times higher. As a result both external faces of embossed laminated products are smooth and well defined, as can be seen in Fig. 5. The new MarryShoe roll design also compensates very easily for any eventual differences in roll deflection involved in the process. In fact, for each 0.1 mm of error requiring compensation, the Nip with a500mm diameter embossing roll, either expands or retracts by about 0.25mm, which is negligible given a Nip length of about 75 mm which can be created even with a 320mm diameter MarryShoe roll. Fig. 5. The new process with MarryShoe roll at left in black. 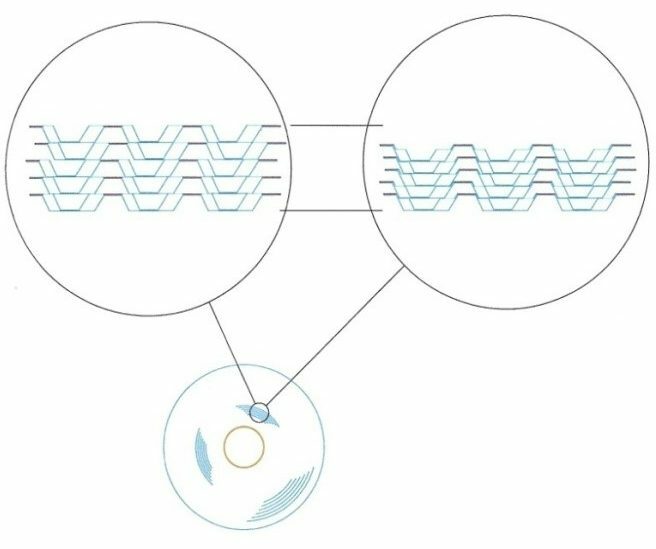 Elimination of re-embossing allows production of more firm rolls because it reduces the possibility of nesting of the re-embossed tips in spirals of paper, as can be seen in the sketch in Fig. 6. This compares the thickness of some sheets, one on top of the other, to the thickness of the same number of re-embossed sheets superposed in which the re-embossing marks enter in embossed areas, thus reducing the total thickness. This phenomenon happens a certain number of times during the winding of a roll, depending on the characteristics of the embossing pattern, even if the pattern is not regular. Firmer rolls have been noted during the operation of the converting line with the new MarryShoe roll. Therefore, rolls that experienced firmness problems when a standard Marrying roll was used can now easily be produced by means of the new MarryShoe roll. Fig. 6. 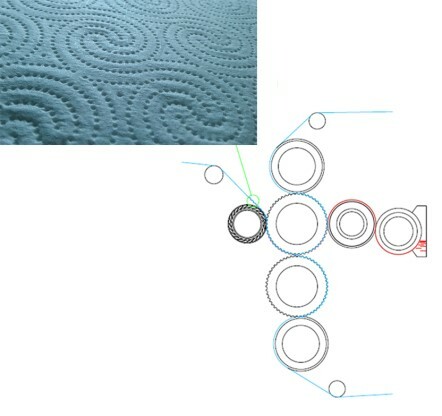 On the upper left is a sketch of spirals made with MarryShoe roll, on the upper right spirals made with traditional Marrying roll. 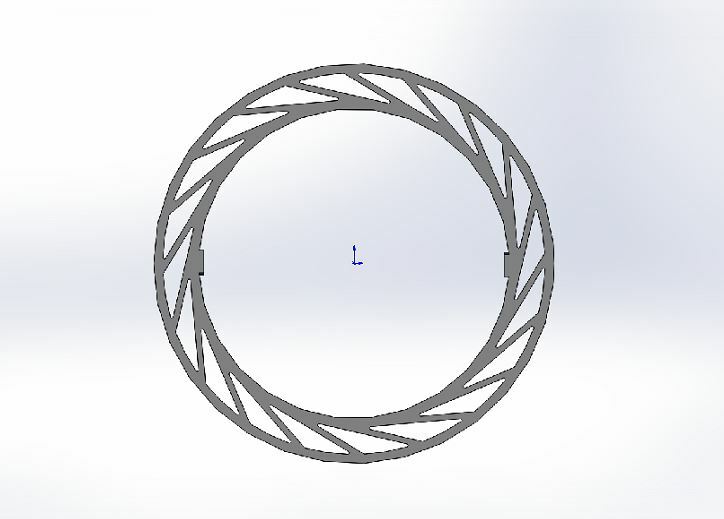 The sketch clearly shows the loss of roll volume caused at certain positions during winding. 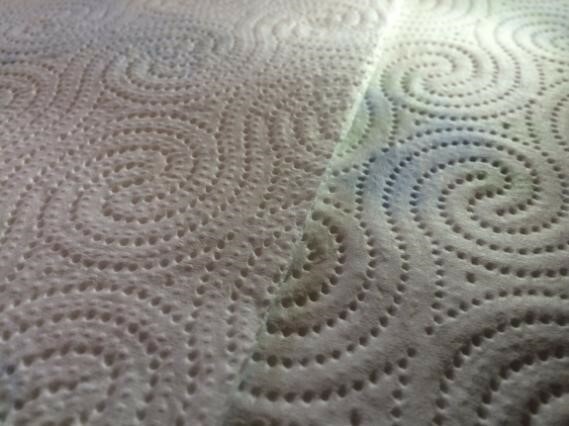 This occurs when, depending on the pattern characteristics, re-embossing tips become nested into the embossments of the adjacent spiral. Fig. 7. The MarryShoe roll installed and in successful commercial production. Fig. 8. 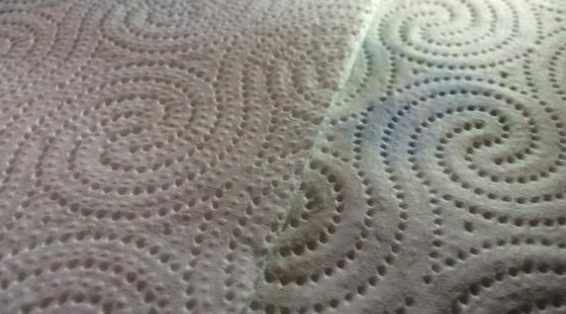 A comparison between the internal faces of two towels produced on the same line, one made using the traditional marrying roll previously installed on the line and the other by using the new generation MarryShoe roll. The increase in quality on the right is clearly visible. The larger Nip is certainly the most important aspect of the new MarryShoe roll because the contact time between the two webs increases in a proportional manner and, consequently, so does the potential the laminating and converting line speed. Fig. 9. Representation of the Nip length value with the force applied to have it in real application: about 4 times longer Nip can be obtained with less than half pressure compared to a traditional Marrying roll. This also explains why higher laminating speeds can be achieved. The Nested inventor, Ernst Nystrand, used to say that to perform lamination of two webs, two elements are needed: Glue and pressure. Operators can play with glue by changing glue characteristics and its quantity. But until today, it hasn’t been possible to play with the pressure, because increasing the Nip time could only be achieved by reducing the rubber hardness, and as a negative consequence, also generating the unwelcome re-embossing. On the contrary, by increasing the rubber hardness, re-embossing can be reduced but consequently Nip time and therefore gluing time are also reduced. The new MarryShoe roll resolves these inherent conflicts by allowing operators to combine the maximum possible level of rubber hardness with a very large Nip zone, which means maximum possible pressure time. Using the MarryShoe roll prototype as an example, we know that it works, with results that exceeded all customer expectations, with a Nip of less than 20mm. This equals less than 1 kg per linear cm of pressure on the webs, far less than the 7-8 kg of pressure normally used with standard Marrying Rolls to reach a Nip of only 8-9 mm, with the unwelcome problem of re-embossing. 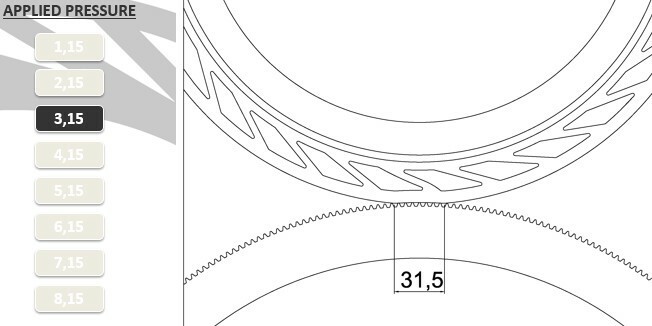 Fig 9 shows that the new MarryShoe roll can easily reach a Nip of 31.5 mm by applying only about 3 kg per linear cm of pressure. This means more than 4 times increase of the time during which the two webs are kept under pressure during the Nested process. Considering that the lamination speed is proportional (not considering the glue applied, which the operator can play with) to the pressure exerted on the webs and to the time the webs are kept under pressure, it is reasonable to expect a significant increase in the lamination speed, which would give a proportional increase in production of salable rolls. And this increase is reasonably achievable with less than half the normal pressure applied on the webs compared to traditional Marrying Rolls. 2. Increased Nip length(up to 10 times longer) at lower pressure = more effective ply adhesion, potential increase in production speeds, and increased salable output: All with the change of a roll. 3. New roll can be installed on any existing machine, easily replaces any traditional Marrying roll, with adaptation flanges. 4. Lightweight & flexible = less energy to rotate, less pressure to achieve a longer nip zone. 5. Tested & proven: The new MarryShoe roll concept has been verified and proven following extensive testing in a kitchen towel production line at the factory of a multinational producer where, according to the technical director, “the results exceeded all expectations”.